Amateur rider Becky Smith will pick up a special prize at Cartmel’s August Bank Holiday meeting this weekend after lighting up this season’s Cartmel Jockeys Challenge. The Swan Hotel and Spa at Newby Bridge, who sponsor the competition by offering the winner a luxury weekend for two, have been so impressed by Becky’s achievements that they will provide her with dinner for two at the hotel. Since the Jockeys Challenge was introduced a decade ago the winners have been exclusively male and all professionals, so for a female amateur to have put up such a bold showing is quite remarkable. Unless something quite extraordinary happens over the two-day meeting this Saturday and Monday, Brian Hughes will claim the title for a third time in four seasons after dominating the July meeting. But Becky has pushed him all the way. She led for much of the early part of the competition and currently lies in second place, ahead of champion jockey Richard Johnson and rising star Sean Bowen. 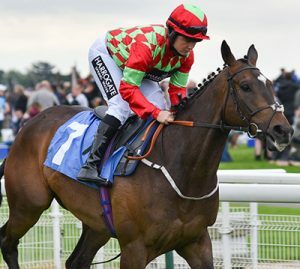 In the previous competitions, the nearest any female jockey has come to winning the challenge was in 2015 when Lucy Alexander led the field only to be injured and miss out on her intended rides at the August meeting. The Jockeys Challenge is not the only title up for grabs at Cartmel this weekend as this year’s Trainers Challenge carries not only the Andrea Robinson Memorial Trophy, but also a trip for two to the cellars of the track’s champagne partner Louis Roederer in Champagne. Donald McCain, who won the title four years in a row before local trainer James Moffatt took the crown in 2015 and successfully defended it for the next two years, is in pole position to land the prize this weekend. And Cumbrian trainer Dianne Sayer is in with a great shout of taking the £1,000 stable bonus for finishing top of the table in the five-race Hadwins Motor Group Mares Only Series which reaches its conclusion on Saturday. She currently holds a four point lead over Donald McCain.